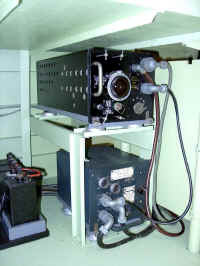 The wireless operator's transmitter and receiver are mounted on the rear face of the radio panel, which is fitted transversely across the table facing the wireless operator. The sets may be connected to either the main fixed aerial on the starboard side or to the trailing aerial, by means of the aerial plug board (early aircraft) or the aerial switch (later aircraft). The winch for the trailing aerial, together with a spare reel, is located on the port side below the table, just forward the wireless operator's seat. 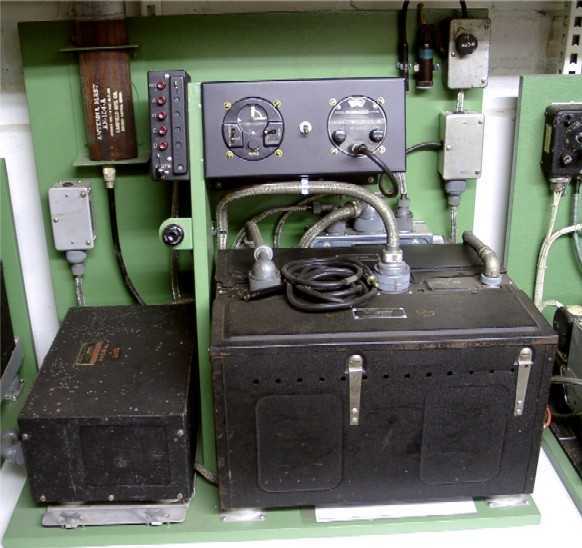 An HT power unit, type 33, an LT power unit, type 35A, and a relay type 220, are mounted on a stool on the main floor, centrally, beneath the table. 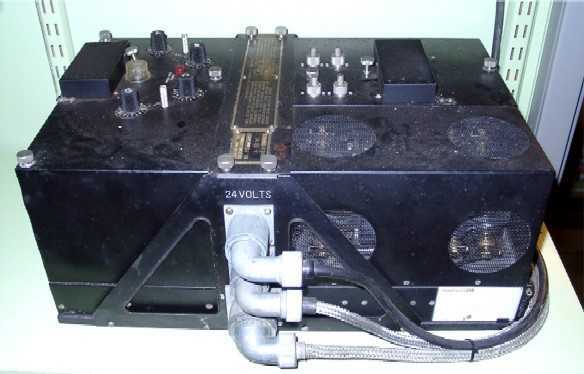 Purpose The standard radio transmitter/receiver in all large aircraft of Bomber Common was the transmitter T1154 and receiver R1155, which replaced the earlier T1083/R1082. 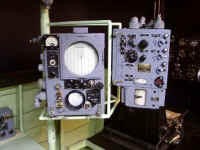 This radio installation is used for communication from air to ground by W/T and R/T. Type of wave T1154, T1154B, T1154C, T1154D: R.T., M.C.W., C.W. R115518 Mc/s. to 3 Mc/s. and 1.500 kc/s. to 75 kc/s. with gap between 600 kc/s. and 500 kc/s. In five ranges. H.F. l8,5-7,5 Mc/s.. 7,5-3,0 Mc/s. M.F. 1,500-600 kc/s., 500-200 kc/s. and 200-75 kc/s. 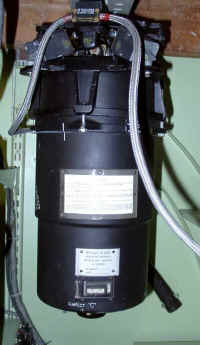 From 12V or 24V rotary transformer units in conjunction with the aircraft general electrical supply. 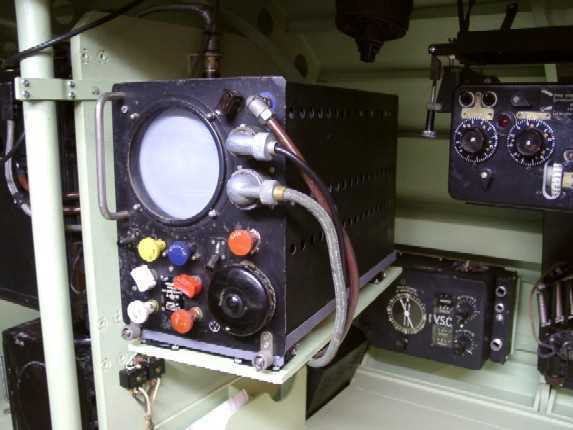 On early aircraft an navigator receiver is mounted on the forward side of the radio panel and is connected directly to the DF loop, or to the rear section of the port fixed aerial. 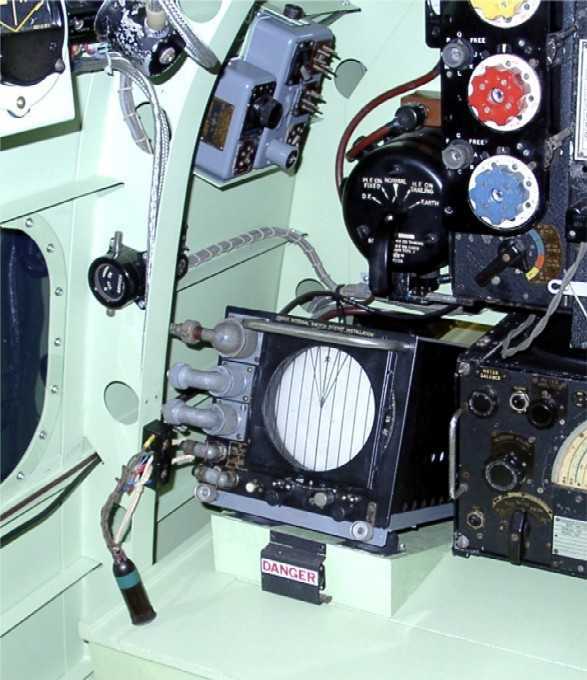 Two visual indicators are provided in conjunction with this installation, one for the navigator mounted on the radio panel immediately above the R1155, and one for the pilot above his main instrument panel on the same mounting as the DR repeater. 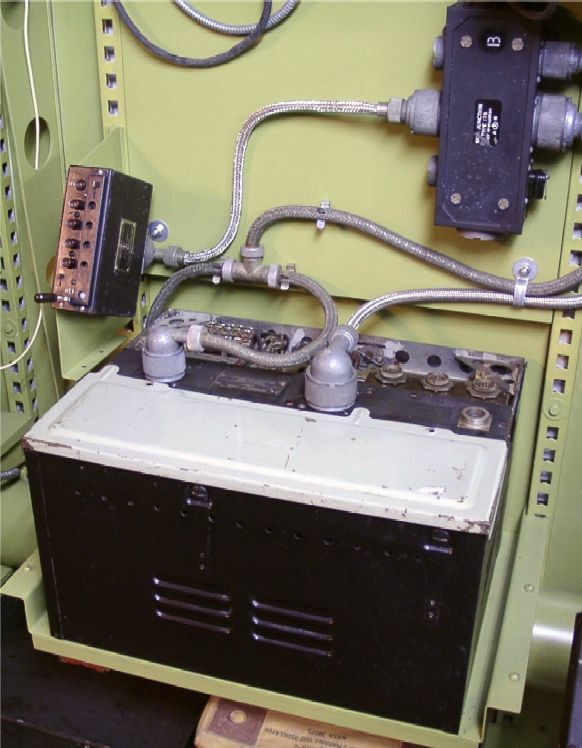 A switch is provided on each side of the radio panel, enabling the navigator or the wireless operator to switch this receiver through the latter. Frequency range 18 Mc/s. to 3 Mc/s. and 1.500 kc/s. to 75 kc/s. with gap between 600 kc/s. and 500 kc/s. In five ranges. H.F. l8,5-7,5 Mc/s.. 7,5-3,0 Mc/s. M.F. 1,500-600 kc/s., 500-200 kc/s. and 200-75 kc/s. 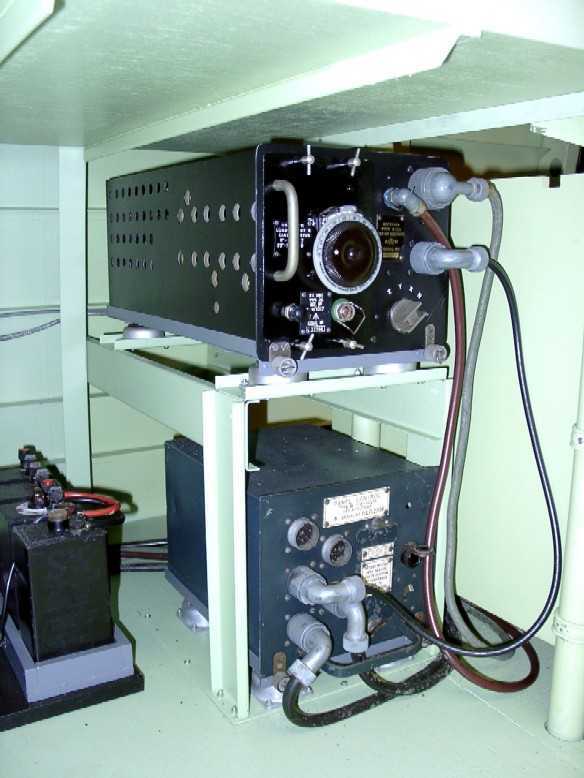 This radio is on early aircraft mounted on a stool on the floor below the navigator's table. Later is was positioned in the rear fuselage. Purpose For communication between aircraft, and the airfield control when returning to base the aircraft was fitted with the TR9 or TR1196. 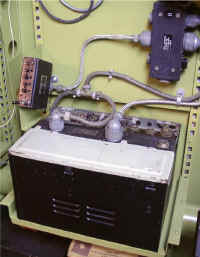 To improve the quality VHF radio's were introduced, this radio is positioned in the rear fuselage. 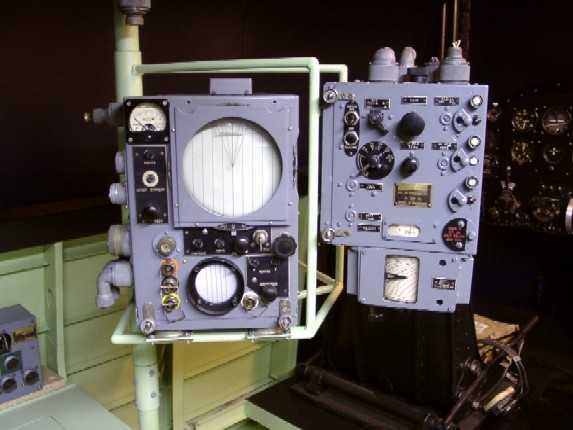 Purpose For communication between aircraft, and the airfield control when returning to base the aircraft was fitted with the TR1143 or TR5043 (US SCR-522). Purpose .For communication between the crew the A1134 is used. This set is mounted on the port side of the fuselage just after the bomb compartment. Antenna's of the ARI 5000 were the side of former 27 to the outboard ends of the tail plane. The ARI 5025 has one whip antenna on top of the fuselage. 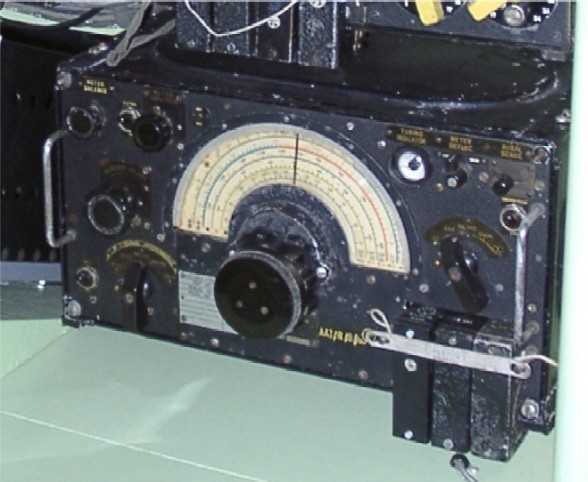 Early position of the indicator is at the forward end of the navigators table, later moved to the forward side of the radio panel. The receiver and control panel was always under the navigators table. The whip aerial is on early aircraft just after the the DF loop, partly under the canopy. On later aircraft this was moved further to the rear. 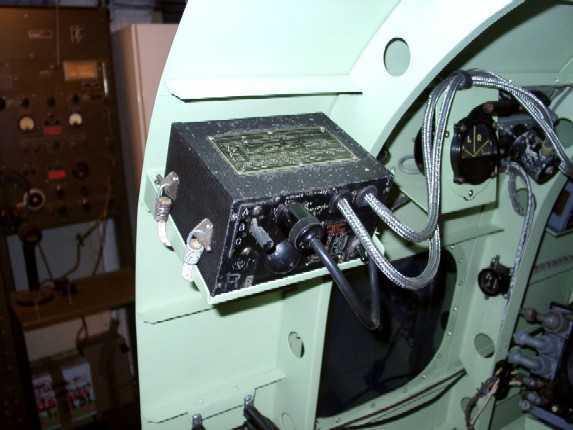 An impact switch, mounted on the starboard side of former J in the fuselage nose control's the automatic detonates the IFF set (ARI 5000 or 5025) and the Gee set (ARI 5033 or 5083) during an impact landing. 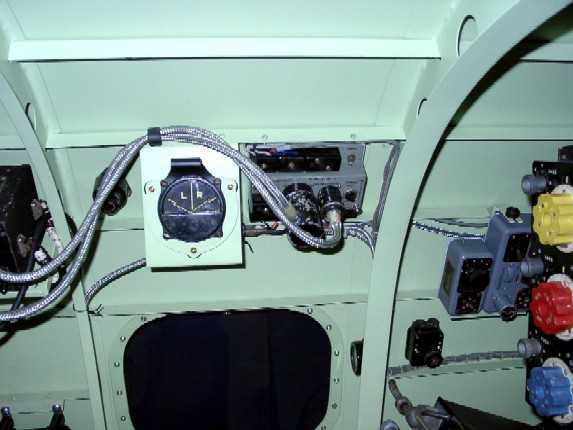 It can also be operated by pushbuttons which are located at the navigators table, wireless operators table (below the fishpond indicator) and on the right hand side of the pilot's instrument panel. 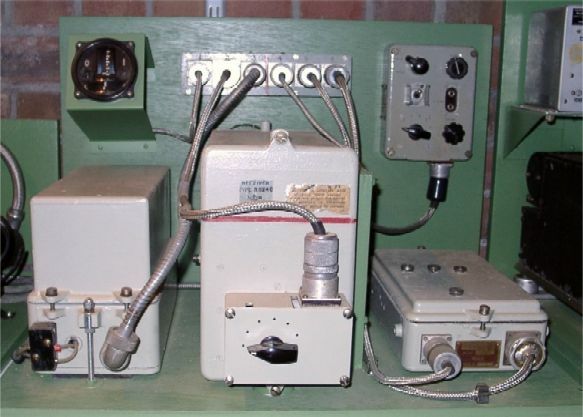 Two warning lamps, connected in parallel, are fitted to the navigator's panel, and will light if the impact switch should accidentally be operated while the isolating switch should be accidentally be operated while the operating switch is SAFE. Indicator and switch unit positioned at the forward end of the navigators table, most of the other part are in the rear fuselage. 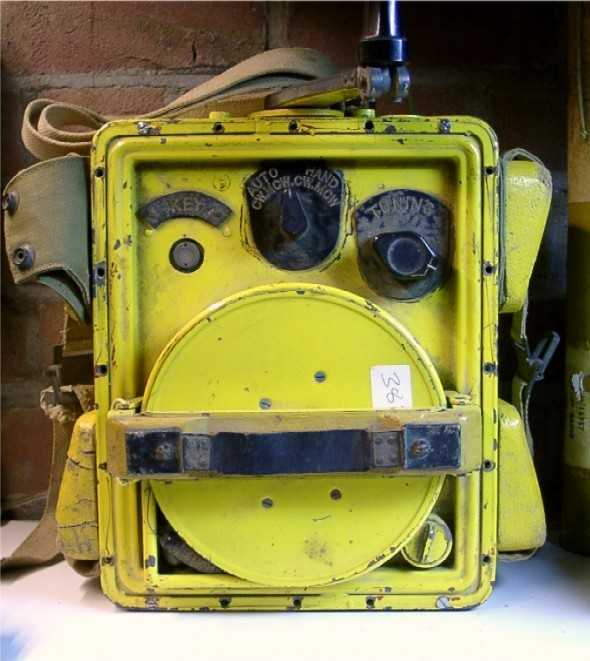 Fishpond is second indicator which is added to the H2S equipment. It gave indications of approaching aircraft within a 30 mile radius. On early aircraft this equipment is installed in the rear centre position of the fuselage at the flare station. Later positioned under the Pilots seat floor. 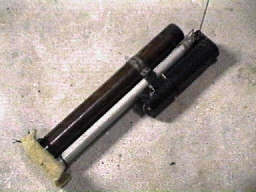 The antenna's (one dipole and one whip) remained at rear fuselage. Monica is an active tail warning device, which transmitted pulses rearwards from the aircraft. Function Portable homing transmitter for use in airborne life-saving craft. Fitted in dinghy packs and airborne life boats. Electric gyro build by the Sperry Gyroscope Company USA. A mounting is provided in the front of the fuselage nose for either an automatic bomb-sight or a course-setting bomb-sight. 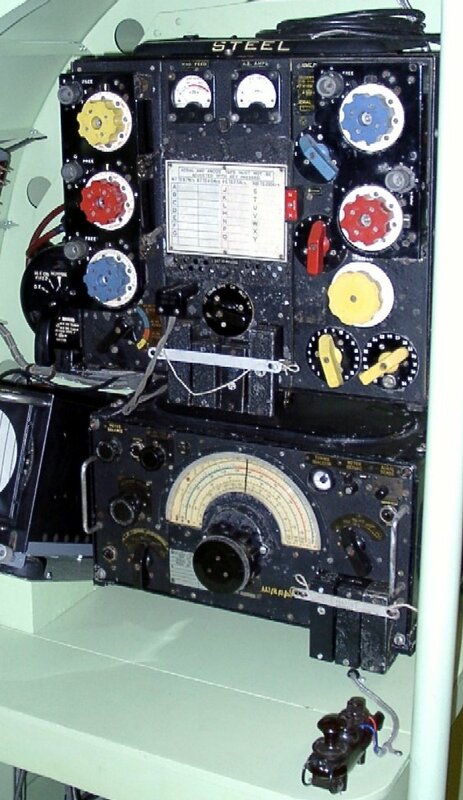 Also known as "DR Compass" is mounted on the starboard side of the fuselage just forward of the main entrance door. The "variation setting corrector" is located in the fuselage roof at the Navigator's station.